Streamline access over obstructions and bolster safety at your facility with steel crossover platforms from Safe Harbor Access Systems. A crossover platform allows a person to safely walk over busy work areas, heavy traffic, obstacles or hazardous environments instead of having to take a wide berth or venture through them. A well-placed crossover platform can curb process system maintenance expenses and production downtime by guarding equipment, conveyors, and pipes against foot traffic damage. 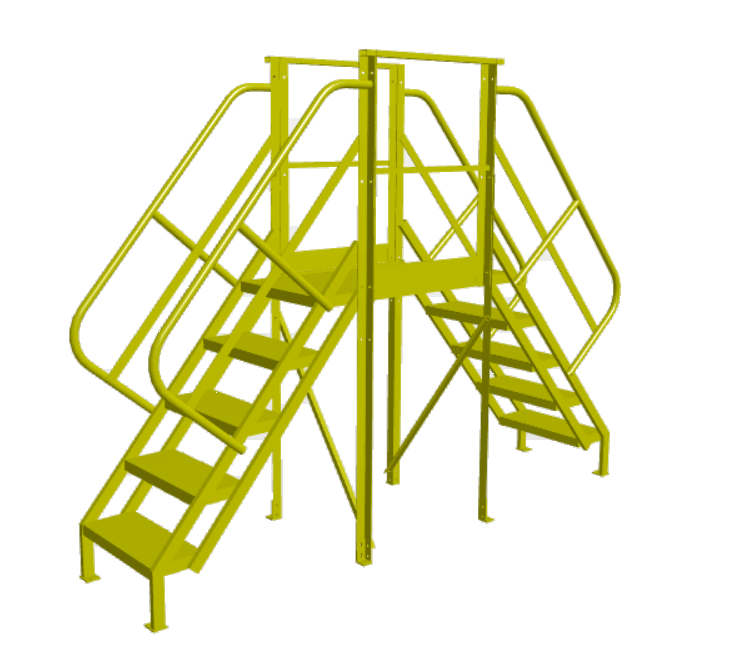 Safe Harbor Access Systems steel crossover platforms meet OSHA and ANSI standards and are ideal for a variety of applications, including aviation, energy, petrochemical, manufacturing and rooftops. Obtain a safer, more efficient work environment with reliable steel crossover platforms from Safe Harbor Access Systems. Our experts are available to help solve your access requirements.